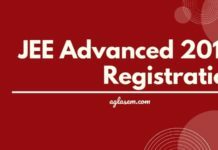 JEE Advanced 2019 – JEE Advanced 2019 registrations for the foreign nationals starts from April 22, 2019. The last date to register for all the candidates is May 09, 2019. JEE Advanced 2019 Exam Date is May 27, 2019, and there are 2 slots, 09:00 AM to 12:00 noon and 2:00 PM to 5:00 PM. The exam is held at the national level for admission in Bachelor’s, Integrated Masters or Bachelor-Master Dual Degree courses in Engineering, Sciences or Architecture in the IITs. The top lot of JEE Main 2019 become eligible to apply for JEE Advanced 2019. Check more details on this page below. Latest: Foreign nationals can now apply for JEE Advanced 2019. Check details. About the top 2 lakh candidates, qualifying JEE Main 2019 are allowed to appear in JEE Advanced 2019. 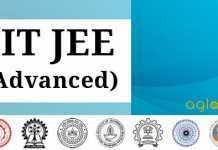 JEE Advanced has 2 papers and is held in online mode. Paper 1 is held in shift 1 and Paper 2 is held in shift 2. The candidates have to appear and qualify both the papers to be eligible for admission. The application form of the JEE Advanced exam is made available in the online mode only. The submission is also on the online mode. Only the candidates who qualify the JEE Main 2019 cutoff to appear in JEE Advanced 2019 are eligible to apply for the exam. Register at the online registration portal that will start on the day of release of the online application form at jeeadv.ac.in. Log in using the credentials available after the registration is successful. After that, provide the basic data and the choices of the cities for the examination. Next, upload the scanned documents needed. Lastly, pay the application fee. 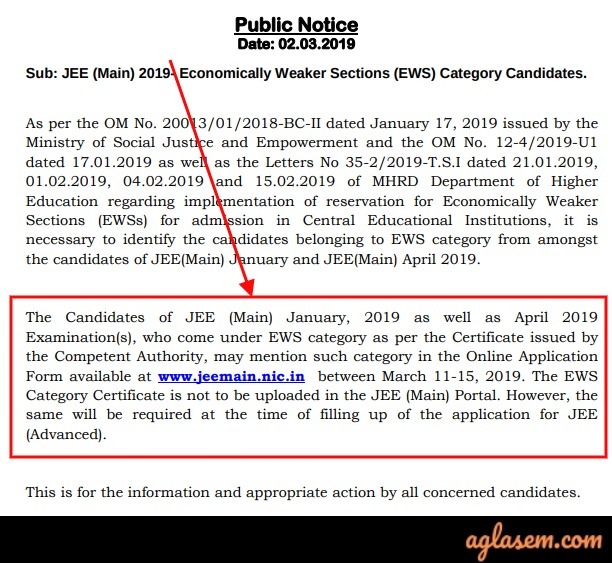 Important: The candidates who claimed the EWS quota in JEE Main 2019 and are applying for JEE Advanced 2019, have to upload the EWS certificate in the JEE advanced online application form. The application fee of JEE Advanced is seen to be changing every year since the past two years. There is always a hike in the registration fee to be paid by the candidates. The application fee to be paid for JEE Advanced 2019 can only be known when then information brochure releases. However, until then the candidates can check the previous year registration fee to get an idea of the amount. 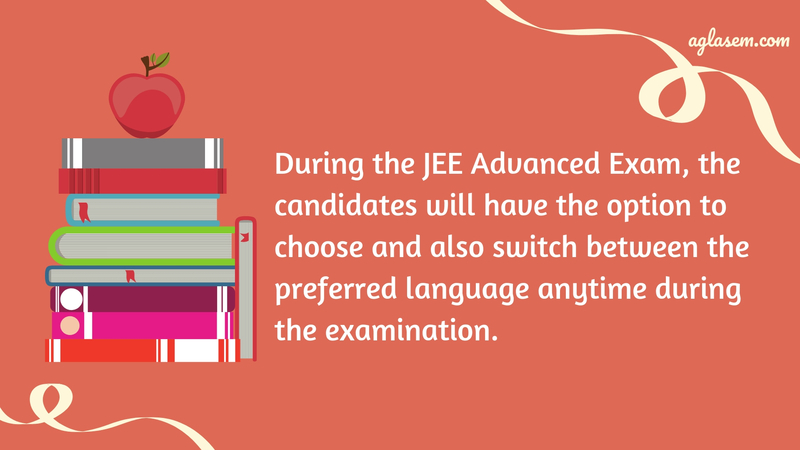 Before you start the JEE Advanced Application Process, here are some important eligibility criteria that you need to fulfill. There are 5 criteria and the candidates have to fit into each one of them. Criteria No. 1: JEE Main 2019 Performance – You must qualify the JEE Main 2019 Paper – 1 Cutoff for JEE Advanced 2019. The cutoff details are made available in the JEE Main scorecard. If the scorecard says that you have achieved the qualifying cutoff, you can proceed to apply for JEE Advanced. Criteria No. 2: Age Limit – There is an age limit to be eligible to appear for the exam. The candidate’s date of birth must be born on or after October 1, 1994. Five years relaxation is given to SC, ST and PWD candidates. Criteria No. 3: Number of attempts – The candidates can attempt JEE Advanced two times in 2 consecutive years. That means you can apply for JEE Advanced 2019 even if you have appeared in JEE Advanced 2018, but not later than that. Criteria No. 4: Class 12 appearing year -The candidates who have appeared in class 12 exam for the first time in either 2018 or 2019 are eligible. Criteria No. 5: Earlier admission at IITs – A candidate must not be enrolled with any IIT in any course. Even if a candidate has accepted a seat earlier at any IIT and has not joined the course is not eligible to apply for JEE Advanced 2019. Number of papers: There are 2 papers in the exam – Paper 1 and 2. Candidates have to attempt and qualify in both the papers. Sections in the question papers: Both the papers will have 3 sections each. These sections are Physics, Chemistry, and Mathematics. Marking scheme: Negative marks may be awarded for incorrect answers of some of the questions. Duration: Paper 1 is for 3 hours and Paper 2 is also for 3 hours. The total duration thus is 6 hours. Languages of question paper: Hindi and English language only. Type of Questions: Objective type only. There is a mixed type of questions that include multiple choice and/or numerical answer type. Mode of the exam: Online only. The marking scheme usually seen is for correct answers +4, +3 and for wrong answers usually -2 and -1. There are a few ‘match the following’ type questions. The number of questions in each section ranges from 4 to 8. JEE Advanced 2019 CBT Guide – How To Appear For The Online Exam? The exam is of 3 hours duration, there is on screen clock to guide the students about the time lapse. The language of the question paper (English to Hindi or Hindi to English)can be changed anytime during the examination. The full paper can be viewed by clicking the “Question Paper” icon on the top right corner of the screen. Candidate will have the option to change previously saved answer of any question, anytime during the entire duration of the test. Candidates can also navigate between any section and question in the question paper freely. Click Here to get the detailed syllabus. The admit card of JEE Advanced 2019 is issued as proof of application form being successful. Only the successfully registered candidates get the JEE Advanced 2019 Admit Card. The admit card is made available inside the login of the candidates and in the online mode only. 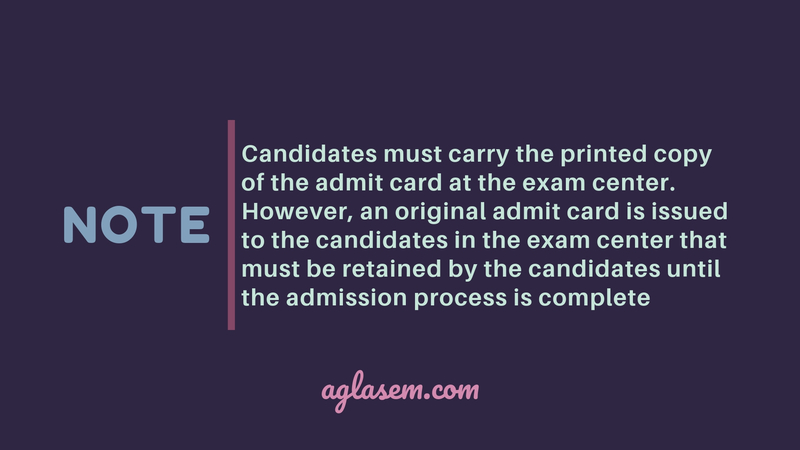 Note that the admit card is the only document that when carried to the exam centres, candidates are allowed to appear in the exam. The candidates can contact the authorities if they find that there are mistakes in their admit card or if they are unable to download the same before the window of the admit card download closes. The question paper of JEE Advanced 2019 is uploaded over the website for the candidates to keep a record of the questions asked in the exam. 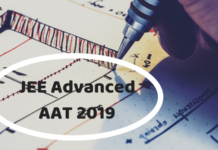 Two days after the exam is over, the JEE Advanced 2019 response sheet is uploaded over the website of JEE Advanced. The response sheet has the questions and the response of the candidates as marked by them in the online exam. Since the exam is held in online mode, the response sheet is the only way to know what answers have been marked by the candidates in the exam. Therefore bu logging into the account, candidates can check their response sheet. The official answer key of JEE Advanced 2019 is made available over the website a few days after the exam. The answer key has all the correct answers to all the questions asked in the examination. using the answer key the candidates can get the estimated score in the exam. The candidates just have to check how many questions they have got right and how many wrong. Thereafter using the marking scheme, they can get an estimated score. The JEE Advanced 2019 Answer Key can be challenged and after accepting the challenge a final answer key is uploaded. The final answer key is the one based on which the result of the exam is released. The final answer key cannot be challenged any further. The result fo JEE Advanced 2019 is made available in the online mode only. The candidates are also sent an SMS regarding the declaration of the result. The candidates need to log in and get their rank cards. The result contains the AIR category wise. After the declaration of the result, the rank list is also uploaded on the website. Candidate with higher marks in Mathematics gets a better rank. If that score is equal then one with higher marks in Physics gets a better rank. If the tie persists, then the same rank will be awarded. As per last year’s information, IITs shall reserve the following number of seats for the different categories as mentioned below. JEE Advanced 2019 is the entrance exam for the IITs. Each IIT on a roaster basis conducts the exam. IIT Roorkee is the organizing institute of JEE Advanced 2019. In the previous year, IIT Kanpur conducted JEE Advanced exam, IIT Madras conducted JEE Advanced in 2017, IIT Guwahati conducted JEE Advanced in 2016 and IIT Bombay in 2015. The candidates who qualify the JEE Main 2019 Cutoff for the advanced exam are allowed to appear in the exam. Further, the candidates who crack JEE Advanced get to take admission in the course of their choice at the IITs. IITs also provide admission to other academic programs, such as BDes, MTech, MSc, MDes, Ph.D., etc. with different admission criteria. Q1: I appeared in the Class XII examination for the first time in 2018. Am I eligible for JEE (Advanced)-2019? A: Yes. You are eligible for appearing in JEE (Advanced)-2019, provided you also satisfy all other eligibility criteria. Q2: I appeared in Class XII examination for the first time in 2017 and my Class XII examination board declared the results by June 2017. I neither appeared in JEE (Advanced)-2017 nor in JEE (Advanced)-2018. Am I eligible for JEE (Advanced)-2019? A: NO. You are NOT eligible for JEE (Advanced)-2019. Q3: I appeared in Class XII examination for the first time in 2017 and my Class XII examination board declared the results by June 2017. I did not appear in JEE (Advanced)-2017 but appeared in JEE(Advanced) for the first time in 2018. Am I eligible for JEE (Advanced)-2019? Q4: I appeared in the Class XII examination for the first time in 2017. My Class XII examination board declared the results of all the candidates of the board before the end of June 2017, but my result was withheld and was declared after June 2017. Am I eligible for JEE (Advanced)-2019? Q5: During JEE (Main)-2019 registration I have declared my category wrongly. Can I correct it during JEE (Advanced)-2019 registration? A: No. Category declared during JEE (Main) 2019 registration cannot be changed during JEE (Advanced)-2019 registration. Q6: I have appeared for the Class XII examination in 2019. Will I be able to register for JEE (Advanced)-2019 without uploading the Class XII certificate? A: Yes. The candidates who appeared in Class XII examination in 2019 do not have to upload any document with respect to Class XII examination at the time of JEE (Advanced)-2019 registration. For more information about JEE Advance 2019 – Download Information Brochure.